Most student recreation centers have the traditional components of exercise such as gyms, indoor pools and indoor tracks. However, there is increased demand to provide holistic wellness centers that also include social interaction spaces, assessment, personal training and wellness, making them a social hub on campus. 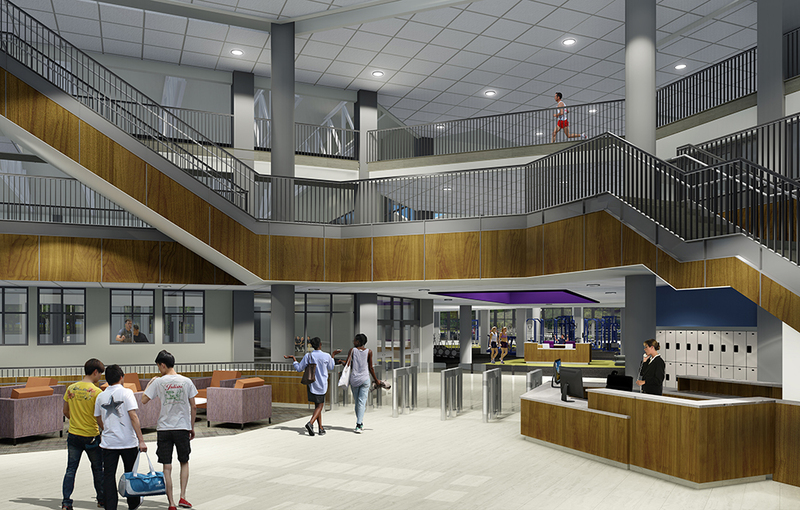 Tennessee Technological University recognized these trends in collegiate recreational centers and selected Hastings+Chivetta, in collaboration with HFR Design, to provide planning and design services for their new Student Recreation and Fitness Facility. 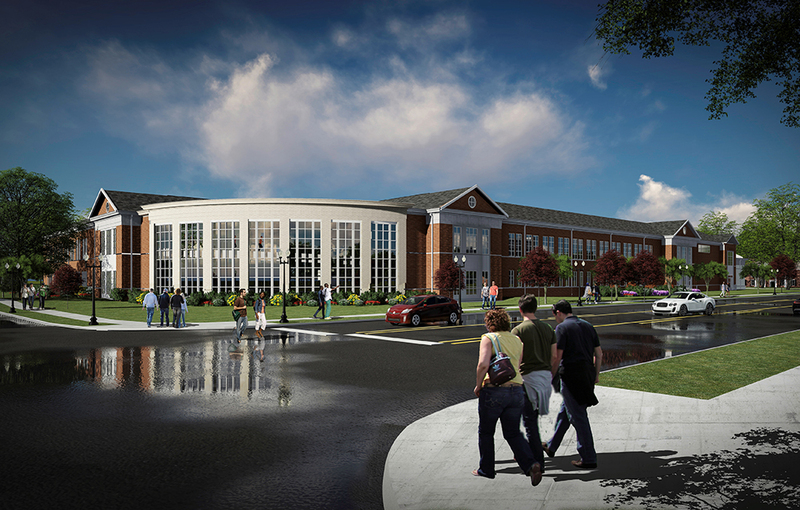 With its prominent location, the new facility is designed to be the new campus “front door” attracting prospective students while serving current students and faculty. The design fosters an inviting environment for wellness by creating spaces that combine independent and group recreation together to meet the needs of all users. Fitness and weight spaces will provide state-of-the-art equipment, including a climbing wall, in a dynamic two-level space. 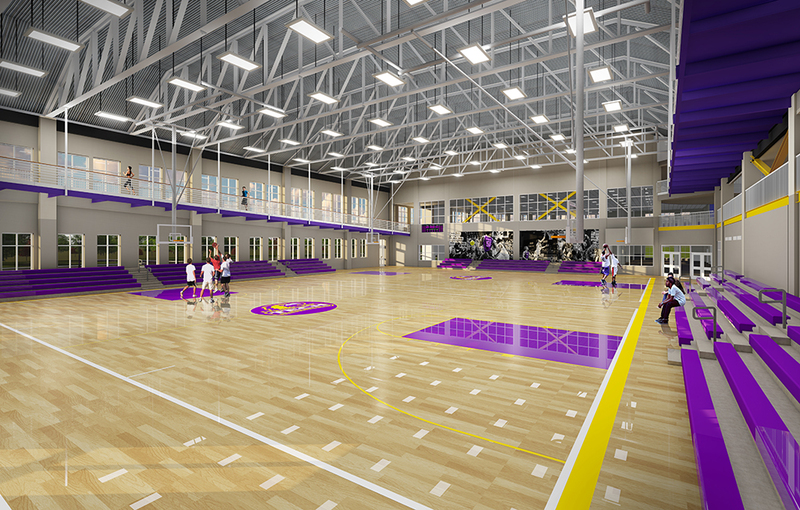 Gym courts will feature spectator viewing and pre-game gathering spaces for drop-in play, scheduled leagues and intramural events. A Multipurpose Activity Court (MAC) will allow access to indoor sports, while the indoor leisure pool will create more opportunities for social interaction. Lap lanes will be provided for exercise and programmed activities, and a whirlpool will invite relaxation and socializing. One of the most unique features is a five laps/mile jogging track that weaves through the entire complex and vertically slopes a full story. The result is a dynamic walking/jogging track that is fully accessible and challenging. Integrated security in the architectural design creates a safe, but unobtrusive environment in which to work and play. 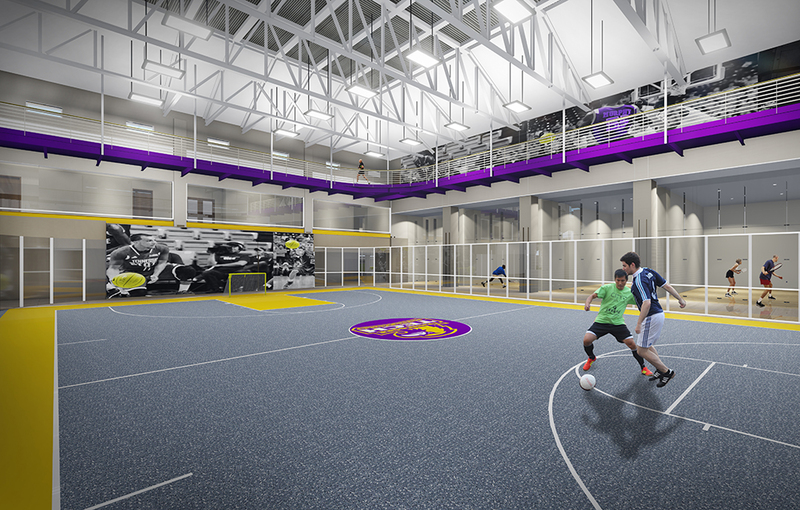 Intended for long-term use, the Recreation and Fitness Facility will be flexible to fulfill current and future requirements. 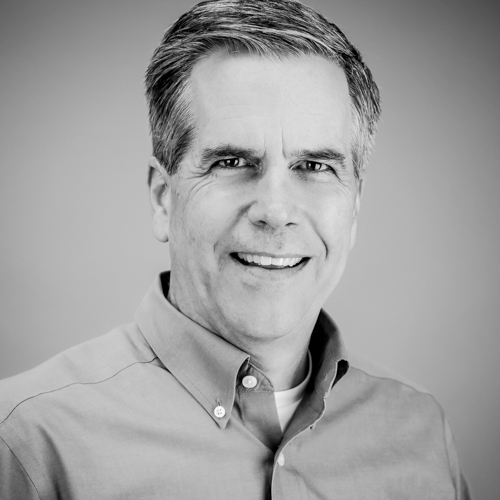 Sustainable design components achieve energy efficiency with durable materials and minimal maintenance. 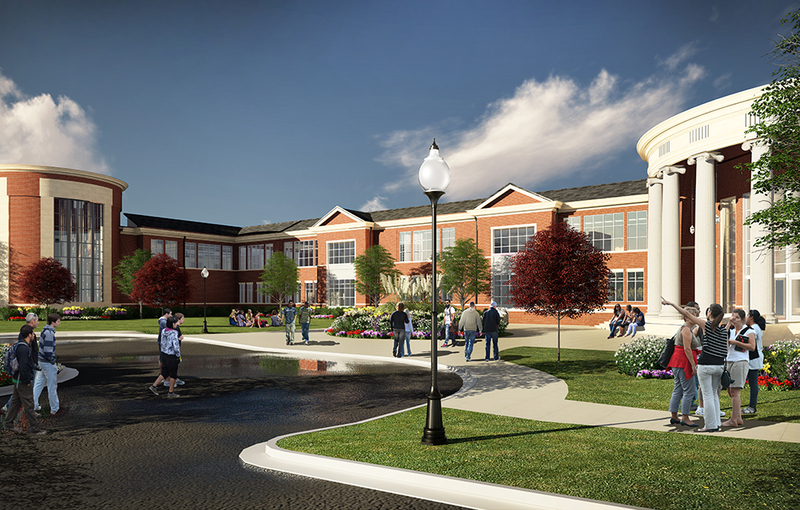 Other features of the facility include racquetball courts, classrooms, a variety of multipurpose rooms and a wellness suite. The facility offers visually open, pleasant interior spaces that will add to the excitement of each activity and promote a sense of community that will help expand the facility’s user base. 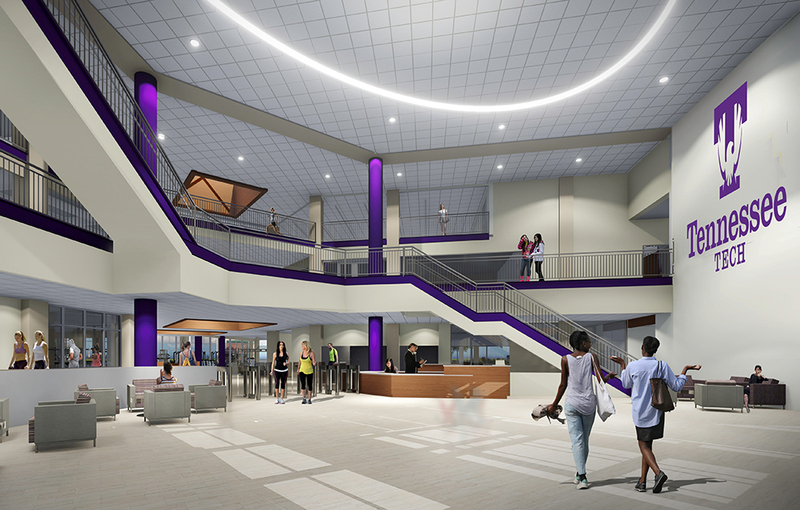 The specialized social areas as well as the usability of the space will allow the recreation facility to reflect the unique cultural character of the Tennessee Technological University campus.